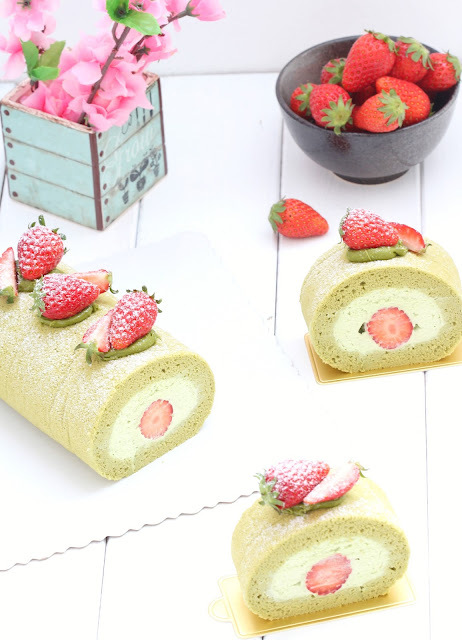 my bare cupboard: Matcha soufflé roll cake "
If you usually bake cakes and fond of making lighter desserts , you've probably seen this roll cake before . This deliciousness is called Dojima roll cake which originated in the Land of the Rising Sun , basically a fluffy sponge roll with cream filling . As with most Japanese-inspired dessert this cake is light in both texture and flavour . * Preheat oven to 180ºC . Line an 11-inch / 28-cm square cake pan with parchment paper . * Combine the egg , egg yolks and vanilla in a small bowl and beat lightly . * Place butter in a small saucepan and melt over low heat . Add in the flour mixture to the melted butter and cook for about 2 minutes until cooked through . Transfer cooked dough to a bowl and gradually add in the egg mixture , stirring or whisking as you pour , until you have a smooth batter . Add in milk and mix to incorporate . Strain batter and set aside . * Place egg whites in a clean bowl and beat until foamy , add in sugar in 2 or 3 additions . Beat until whites are glossy and stiff peaks form . 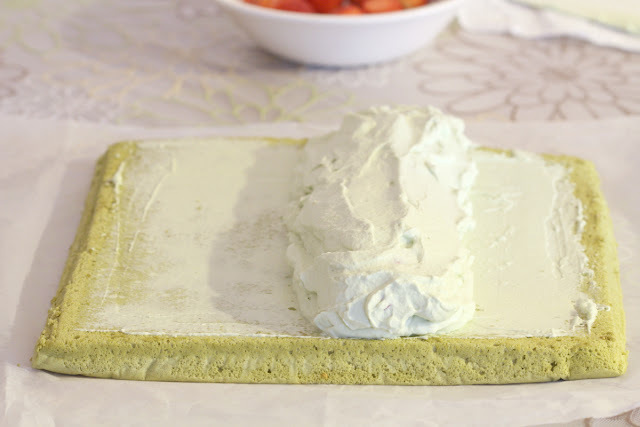 * Add 1/3 of the meringue to the batter and fold in lightly , add in the remaining meringue and fold through until just incorporated . Pour batter into prepared pan and spread evenly with a scraper . * Bake for 20 minutes . 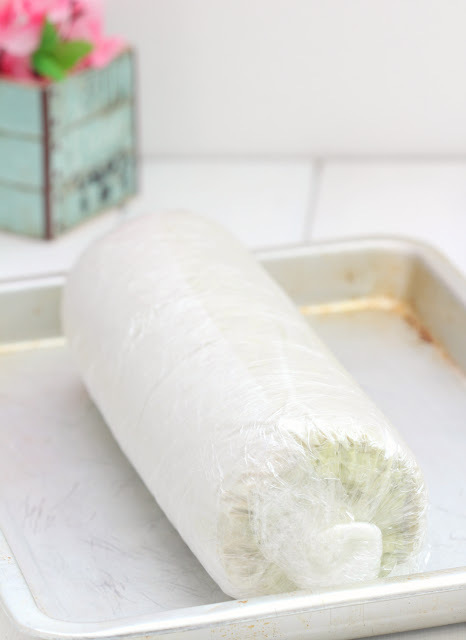 When cake is done , remove cake from the pan and place in a large food bag or cover with parchment or plastic wrap to cool completely . * Place bowl and beater in a fridge prior to whisking especially during summer also , prepare an ice water bath and place the bowl with the cream over it to speed up the thickening of cream . 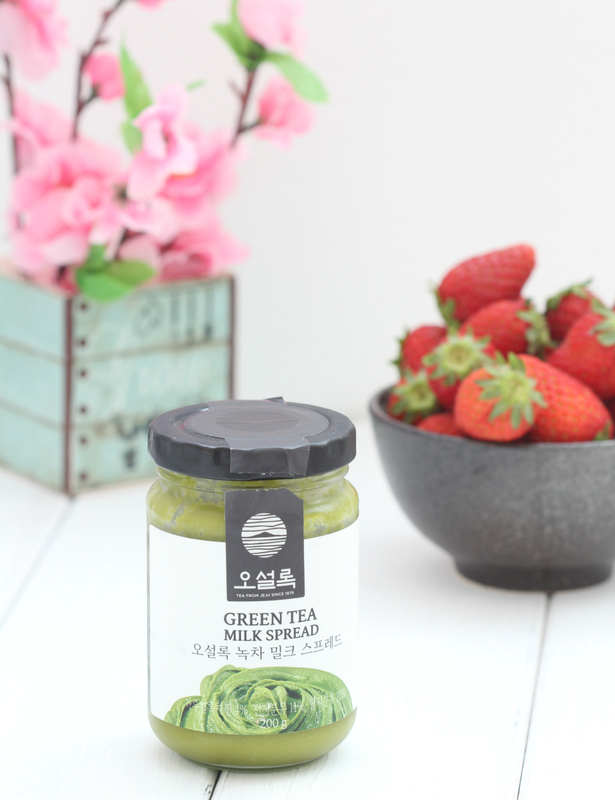 * Place cream in a deep large bowl and sift in the matcha powder . Whisk until soft peaks form then add in the icing sugar continue beating until stiff peaks form . * Once the cake has completely cooled , you can scrape the brown crust off the top of the cake ( optional ) . Use a bread knife to slice off a small portion on top and bottom ends diagonally . * Spread a thin coating of whipped cream on top of the cake , leave a bit of space on each sides . 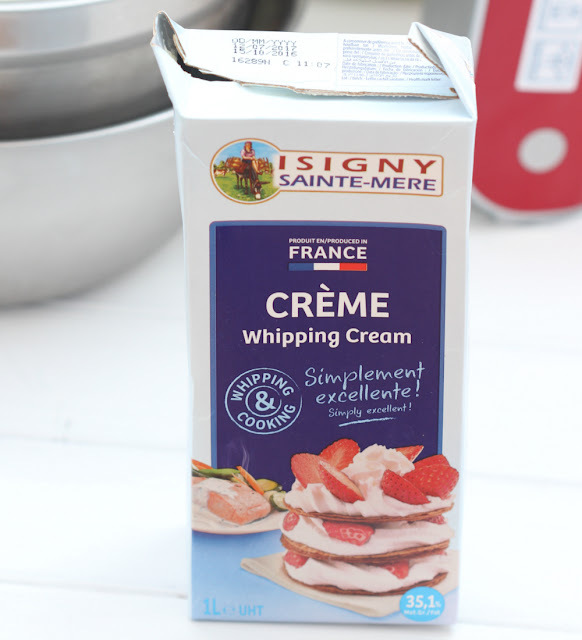 * Place a big dollop of cream nearly to the middle of the cake , arrange some strawberries on top , about 7 . 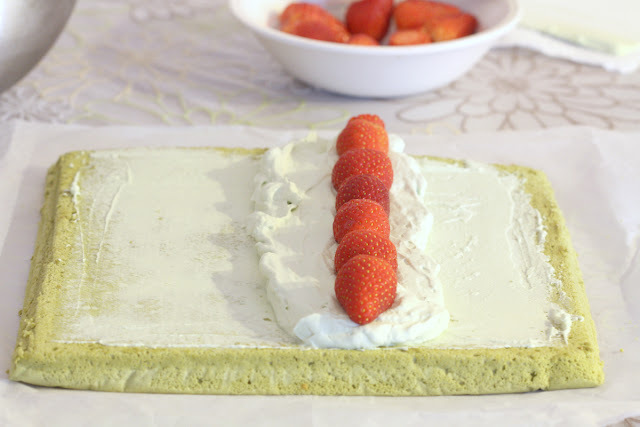 Cover strawberries with more cream . Roll sponge gently until both edges meet . Wrap rolled sponge tightly with plastic wrap . * Chill in the fridge to set for at least 4 hours or overnight . * Trim the cake on both ends . 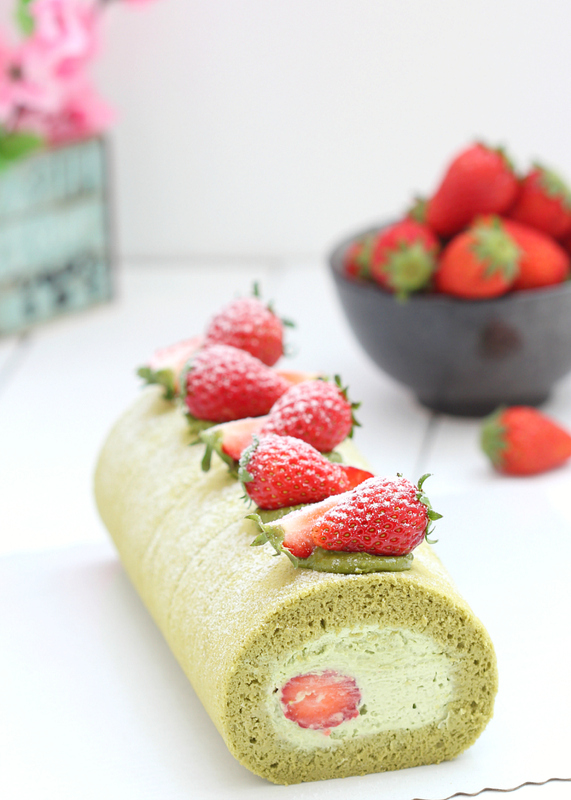 Decorate with matcha milk spread and strawberries on top . * Chill in the fridge again for about 30 minutes before serving . 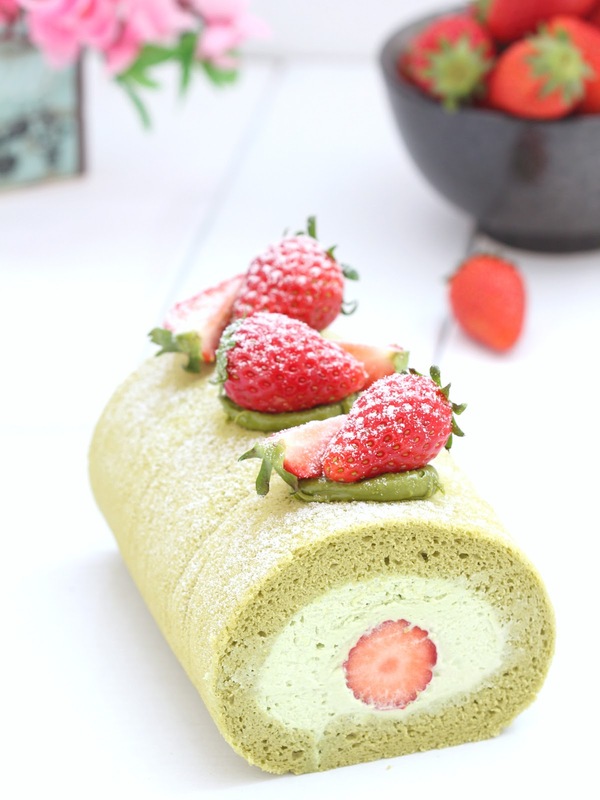 Such a perfect cake roll! Gorgeous colour and great texture, Anne. Your cakes are always so elaborated! Wow! 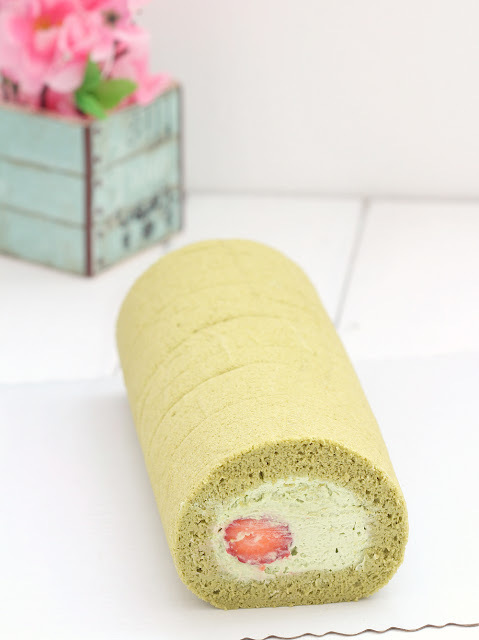 What a dreamy cake roll! It's the perfect spring dessert---and you've executed it beautifully, my friend! I am drooling ! Looks so gorgeous. Thanks for sharing! I made this a couple weeks ago. Only change I made is using a 9x13 pan which worked perfectly and not using the matcha milk glaze. Really tasty and became a favourite.